Mary Boone Gallery in Chelsea is currently exhibiting four new bronze sculptures and one oil painting, which together make up an exhibition by Marc Quinn entitled All the Time in the World. The display was opened to the public on May 4th, during the busy weeks around Frieze New York, and will remain on view through June 29th, 2013. 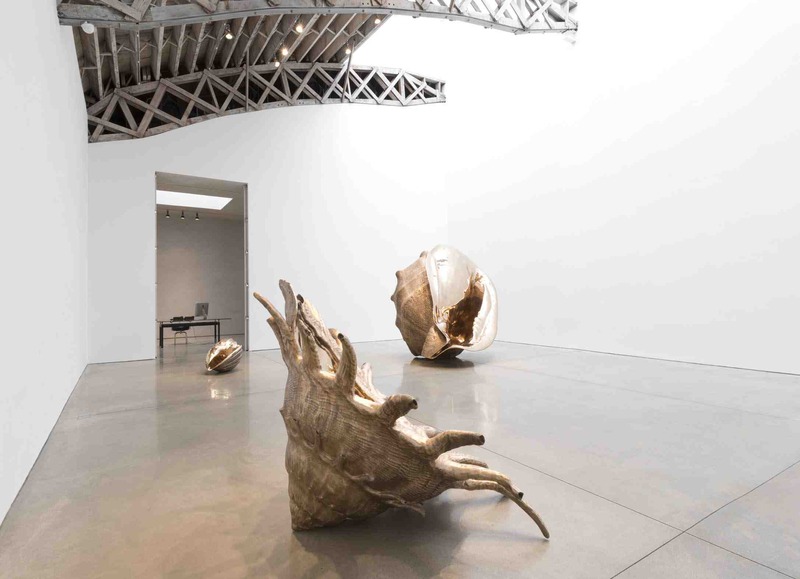 The exhibition also corresponds with Quinn’s major retrospective of works currently on view at the Fondation Giorgio Cini in Venice this summer. 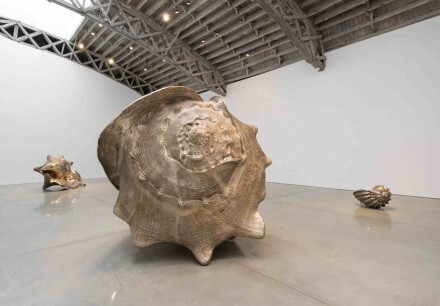 Culled from his Archaeology of Art series, the enormous seashell sculptures that make up Quinn’s exhibition are cast in bronze, and reveal the intricate details of natural form that occupy so much of Quinn’s work. “To me, looking at these natural forms is like looking at the archaeology of art,” he says. 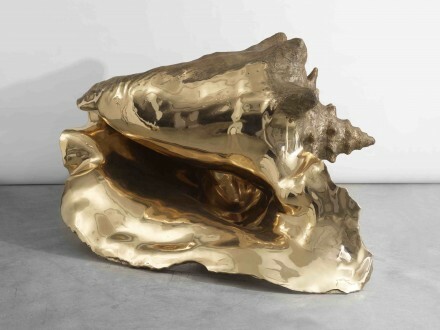 The details on the surfaces of seashells reveal their age, and were sculpted by the forces of naturewhich the artist then takes as inspiration to sculpt his own interpretation, an appreciation of the time-consuming natural process rendered in a fraction of the original creative process. 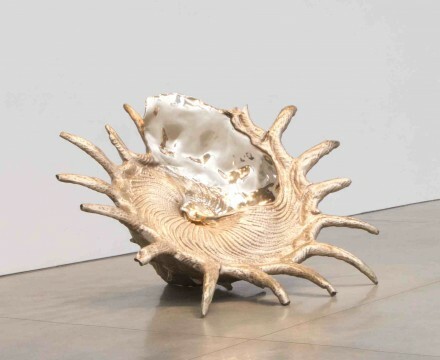 Quinn has related that the shell is like a diagram of time, connecting past and present as it slowly radiates outwards from the center. 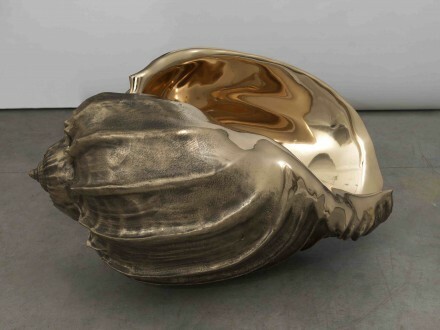 According to the artist, the parts of the shell that remain polished reflect the present, containing its surroundings and current era within its shining surface, while the rings on the outside record the shell’s ongoing connection with its own past. 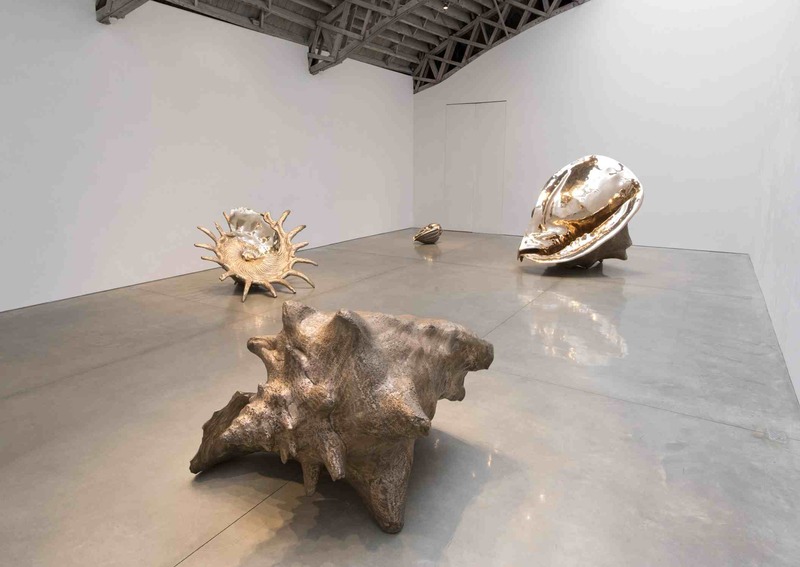 He likens the idea of creating these sculptures to collaborating with the beginning of art – that is, the natural processes that render these complexly beautiful and confounding forms in the environment. By focusing on the final form, Quinn seeks to understand its genesis, and the powerful forces that dictate shape and process. Despite the rhetoric of creative process and hand sculpting, Quinn has relied heavily on computer technology to render his final products. Real shells were converted into a digital 3-D through advanced scanning techniques, then converted to a large-scale cast used to make the final bronze work. No less the remarkable, his works take on a new dialogue, one of pure expansion in appreciation of their size and features. Quinn’s method evokes concepts of genetic coding, using the naturally dictated form to render a gleaming artistic material that stands outside the natural flows of time. 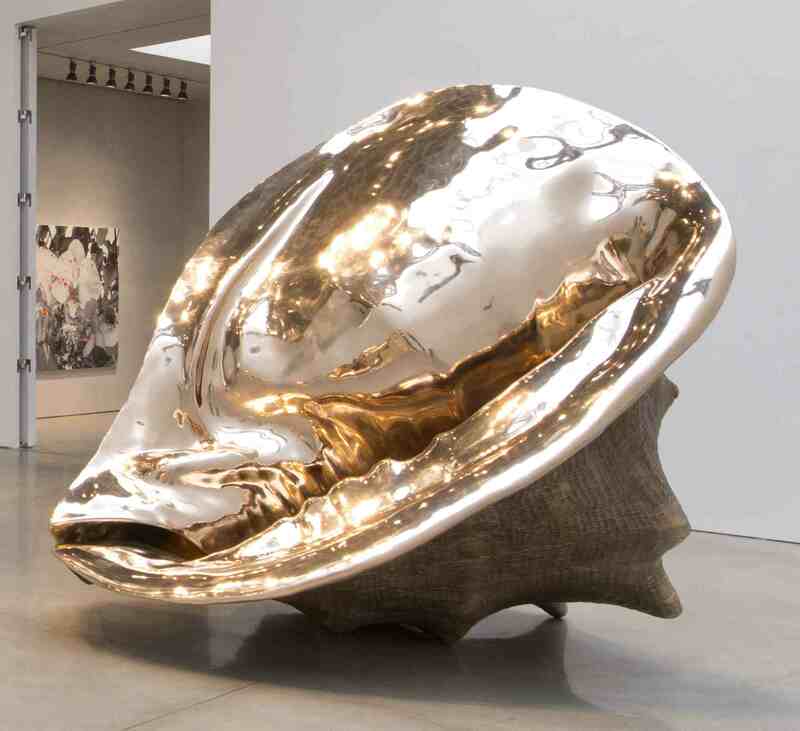 The exhibition at Mary Boone Gallery will continue through June 29th, 2013. 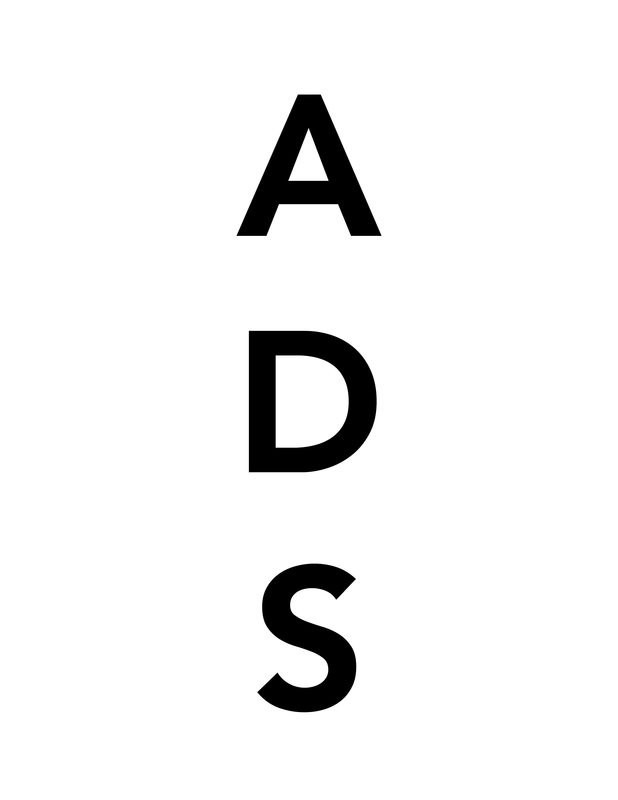 This entry was posted on Thursday, June 27th, 2013 at 4:27 pm	and is filed under Art News. You can follow any responses to this entry through the RSS 2.0 feed. You can leave a response, or trackback from your own site.